Secured CDs are FDIC insured. Certificates of deposit secured by a federally insured bank are low-risk investments used by many investors as a savings tool. However, the complexity of some CD products and the manner in which they are sold may lower the security level of the investment. A secured CD is one that is protected by the Federal Deposit Insurance Corporation, is available through a banking institution and does not require membership or a previous account to obtain. A certificate of deposit is a specific type of deposit account offered by banks and savings institutions that typically provides an interest rate higher than rates offered on a savings account. When a CD is purchased, the customer deposits a fixed amount of money into a deposit account and is paid interest on that amount for a specific period of time. Periods of time can be as short as one, three or six months and as long as one to five years, or longer. When the CD is redeemed, the original amount plus the interest is paid to the holder. Redeeming a CD before the maturity date usually results in a penalty or the forfeiture of a percentage of the interest owed. A secure CD is a CD held by an FDIC insured bank. 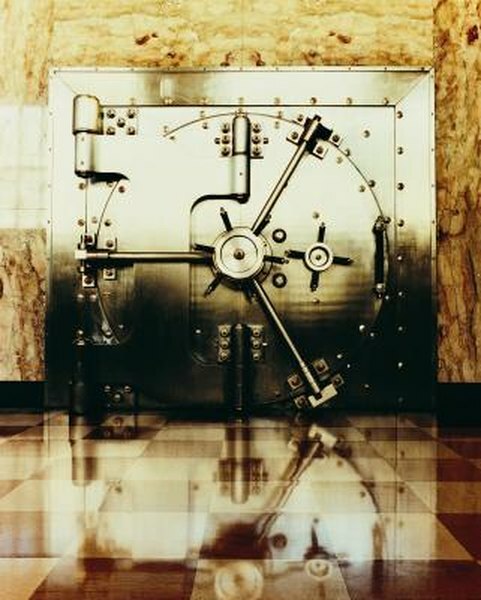 FDIC insured means that each depositor is insured for $250,000 per financial institution. The account holder is assured his money will be re-paid up to $250,000 should the bank fail. Any amount of money over the $250,000 is not insured. A CD can also be sold through independent salespersons and brokerages known as deposit brokers. Deposit brokers negotiate higher CD rates with banking institutions by agreeing to deliver a large amount of deposits in return. Deposit brokers can then sell a higher yield CD to customers. The Securities and Exchange Commission warns consumers that a brokered CD may have risks a bank purchased CD does not. The complexity of the product offered and the fact that the broker does not have to be licensed or regulated raises the risk for the investor. The SEC further states that brokers who do not follow correct record-keeping requirements may cause the CD to be disqualified for FDIC insurance. The FDIC also warns consumers that not all financial institutions with bank type names are FDIC insured. To help consumers make sense of the financial landscape, the FDIC provides an online FDIC monitored tool called Bank Find. Bank Find allows the consumer to search for and verify that the bank they are dealing with is FDIC insured. Always review the features of the CD before purchasing and understand which institution is issuing the CD and what might happen if you need to withdraw the CD before its maturity date. Advertised interest rates far above the average rates may not be for an insured CD or may be marketing bait tied to other investment products the broker wishes to sell. Because deposit brokers are not licensed or tracked, verify the history of the broker and the company they work for by checking for fraud and complaints. Both the SEC and the Financial Industry Regulatory Authority have databases that list the disciplinary history of the investment professionals deposit brokers are usually connected with.